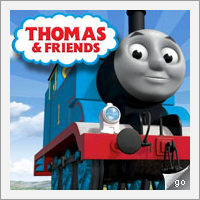 Wooden Railway - Totally Thomas Inc.
Thomas Wooden Railway brings the beloved stories of Thomas & Friends to life, providing little engineers with a rich world to discover and explore. 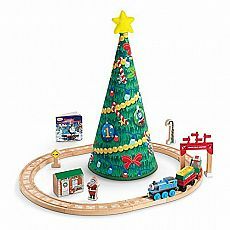 Featuring real wood construction, the Thomas Wooden Railway system is designed to grow with a child's increasing ability and creativity. As a child's skills develop, add more track, vehicles, destinations and accessories.